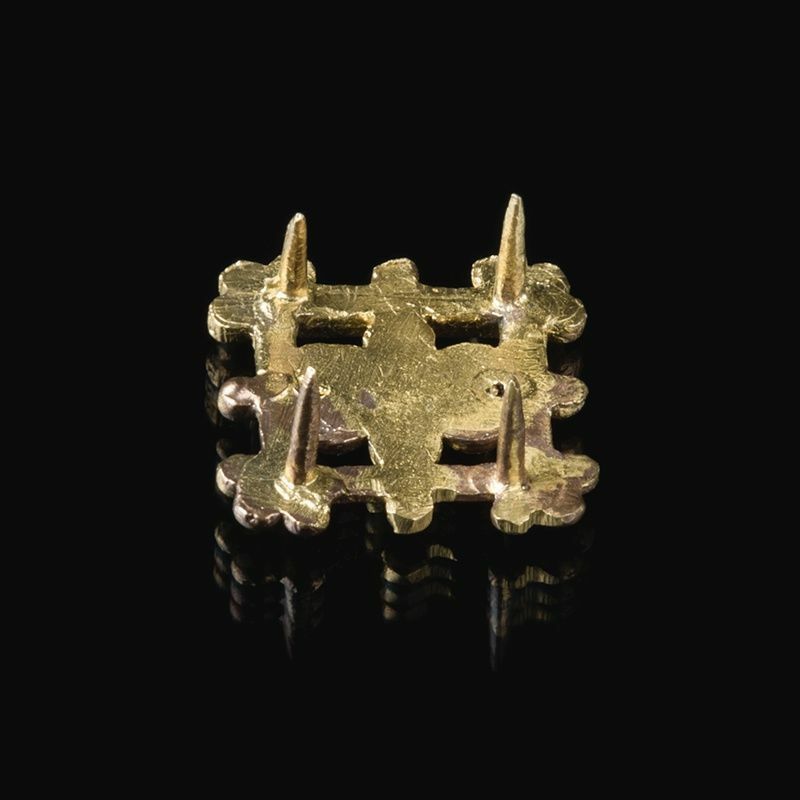 German belt mount, mid 15th cent. From the book Waffen und Kleidung der Spatgotik. Belt mount. From the book "Dress Acsessories" #1072. 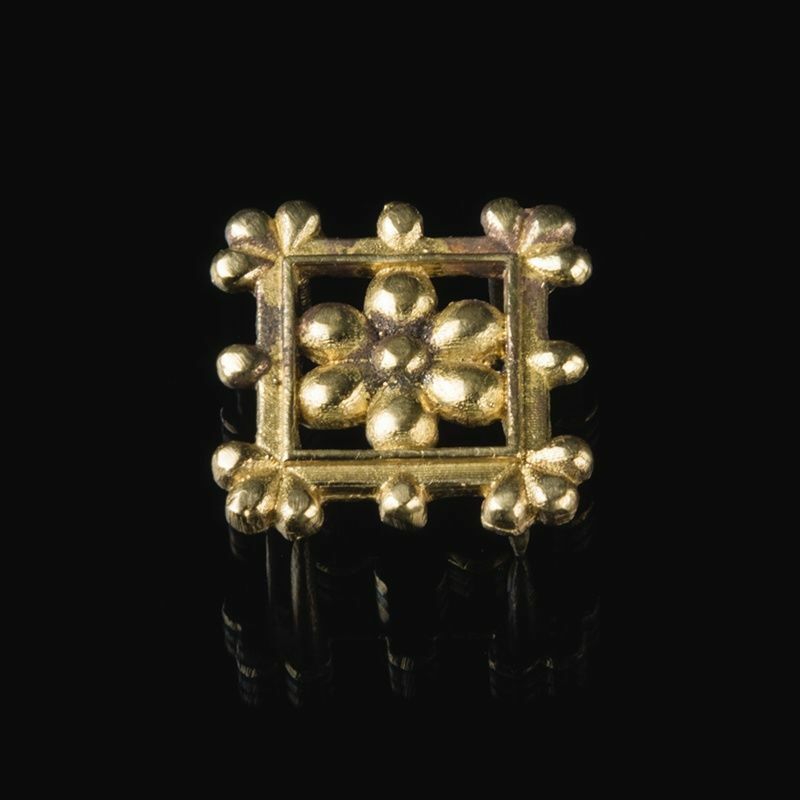 Size 14 x 14 mm ..
Belt mount, 14th cent. From te book 'Dress Acessories' Size 16 mm ..
Belt mount. From the book "Dress Acsessories" #1108. Size 14 x 7 mm ..